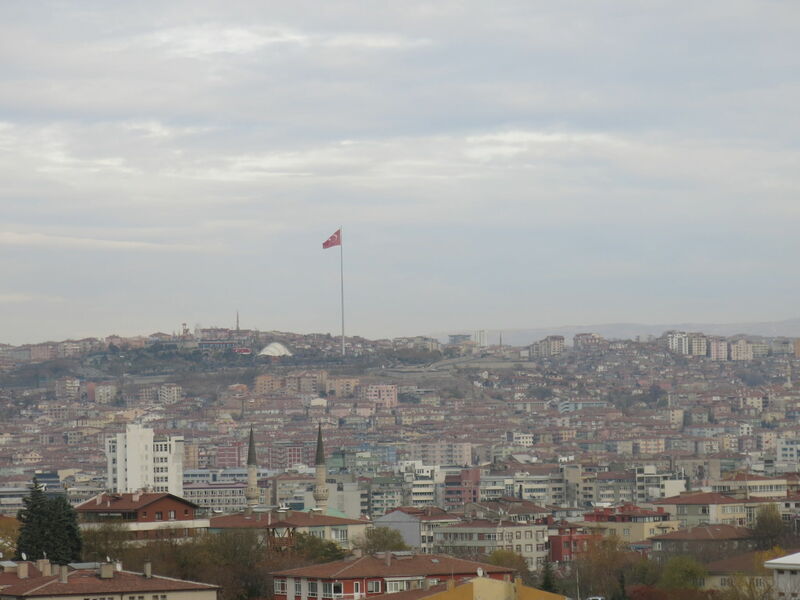 A proud Turkey flag – yes, this is the real capital – sorry Istanbul! 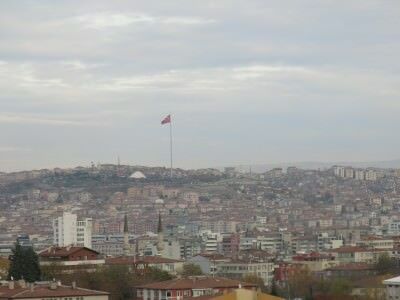 Ankara is the real capital city of Turkey. While people might associate Istanbul with being the assumed capital, Ankara takes the award (and as a few of my mates mentioned on Facebook “will get you the point in a pub quiz”). My travels took me twice to Ankara to check out the charm of this gleaming, sleeping giant of a city. 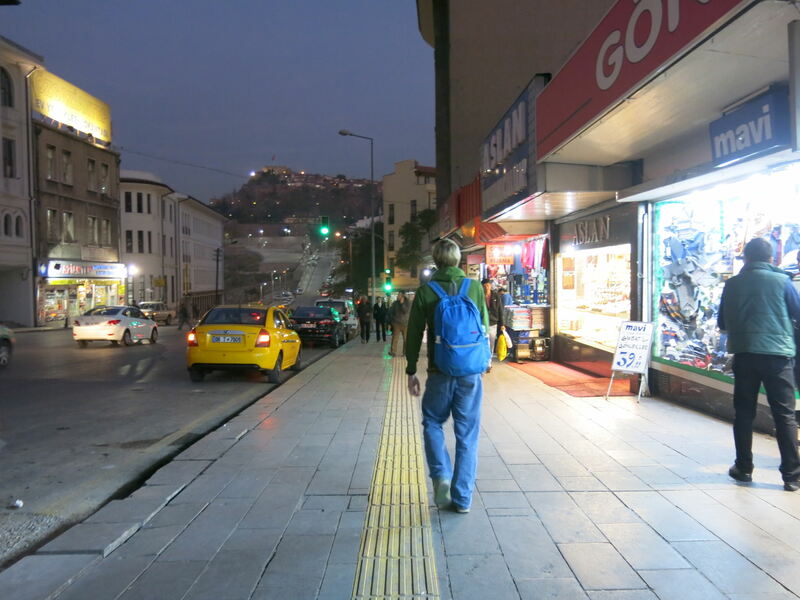 Backpacking on the streets of Ankara, Turkey. Kicking Istanbul into touch! This is no small town, this is no “Canberra” or “Ottawa”, this is no “wannabe”, this is a massive city, the centre of Turkey and quite rightly and proudly, the deserved capital city. As far as backpacking in Ankara goes, you’ll be on your own…there ain’t a lot of travellers about and quite frankly this is why it knocks the socks of over touristy Istanbul. Yes, the Bul has been kicked into touch by its undermined brother. Move over Istanbul, welcome to Ankara. 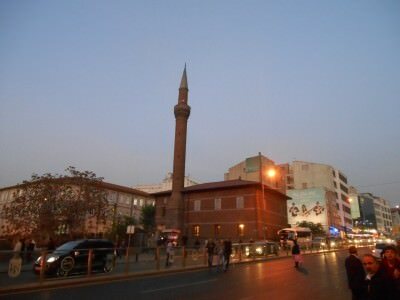 The Cumhuriyet Aniti monument in a cool wee square in Ulus. 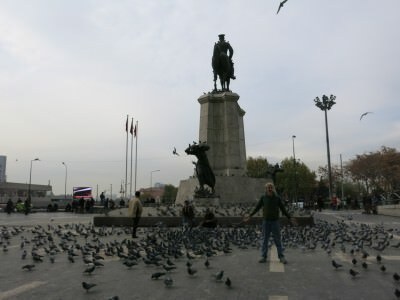 If you’re given the choice between Istanbul or Ankara, it’s a no contest for me – choose Ankara. Cheaper (by a mile), more central, has a bigger bus station, less tourists, a load of cool off the wall sights and an atmosphere where you believe you’re actually in Turkey. Here are 5 things to see and do in a city which offers a lot more than you’d expect. Around 5 million are housed within this crazy metropolis. 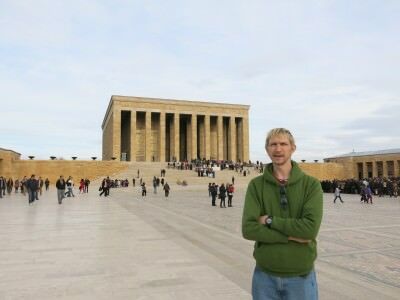 I based myself in the Hotel Capital Ankara for four nights to check out this place. This is the number one attraction and it’s completely worth a look. Don’t think this is just a simple room with a body in it though. It’s so elaborate you can’t quite believe it. 5 things to see and do in Ankara, Turkey – don’t miss the chance to pay your respects to Ataturk at his mausoleum. Entry to Anitkabir is free, backpacks have to be handed in (handbags are OK) and cameras are permitted. If you want to see the museum, the film, the shop, the monuments etc. you’ll need to allow 2 hours at least. Mustafa Kemal Ataturk died in 1928 and is known as the “Father of the Turks”, this veteran army lad united the country. A proud and patriotic Turk, he made the country great again. It’s a massive complex so get it on your itinerary. Alight the Metro at Tandogan station and walk it. 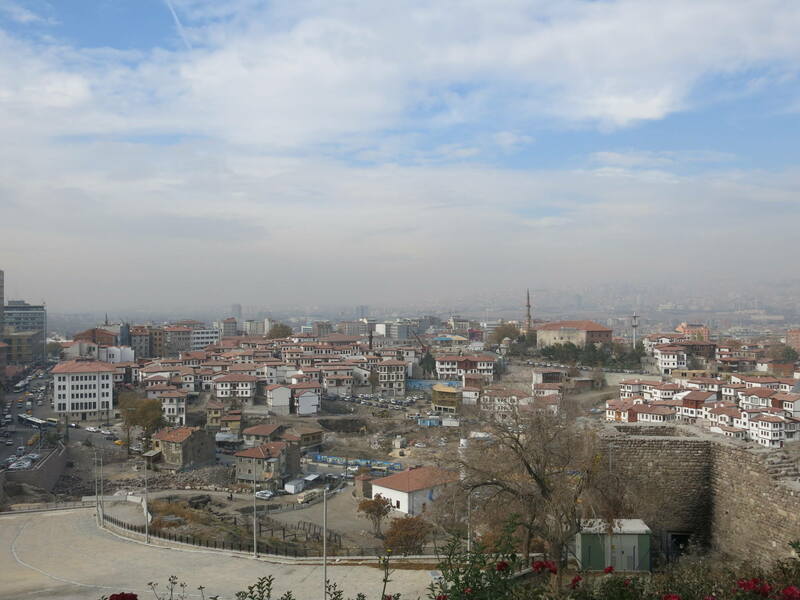 Rising high above the magnificent capital city, is the ancient Ankara Citadel. A grand castle built on the city’s hill, this spectacular structure provides immense views of Ankara. You’ll be amazed at the sheer vastness of a city that hides shyly from the non-Turkish media spotlight. 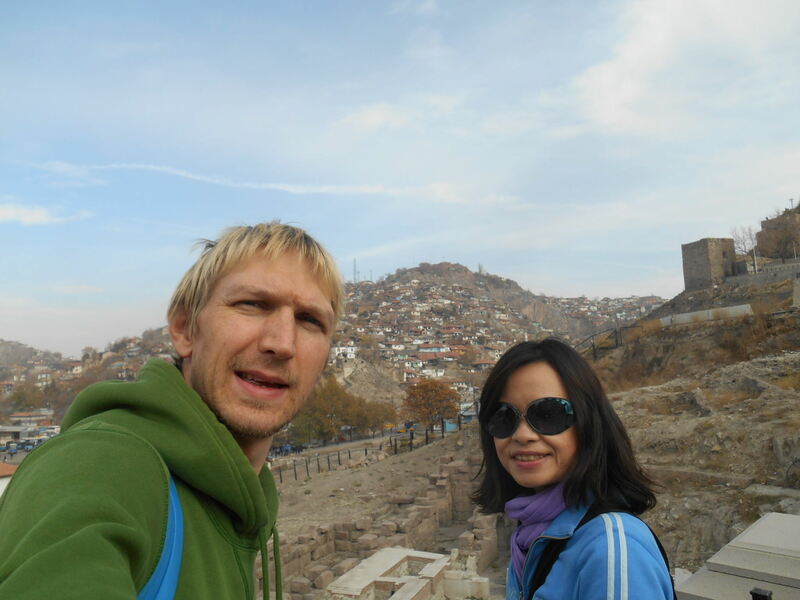 Admiring the views of Ankara together near the Citadel. You can visit a village at the top where everyday Turkish people still live a normal life – not many tourists come here. You’ll be rewarded with great views for amusing photos. A kicking shot from the top of the Citadel over Ankara, Turkey. 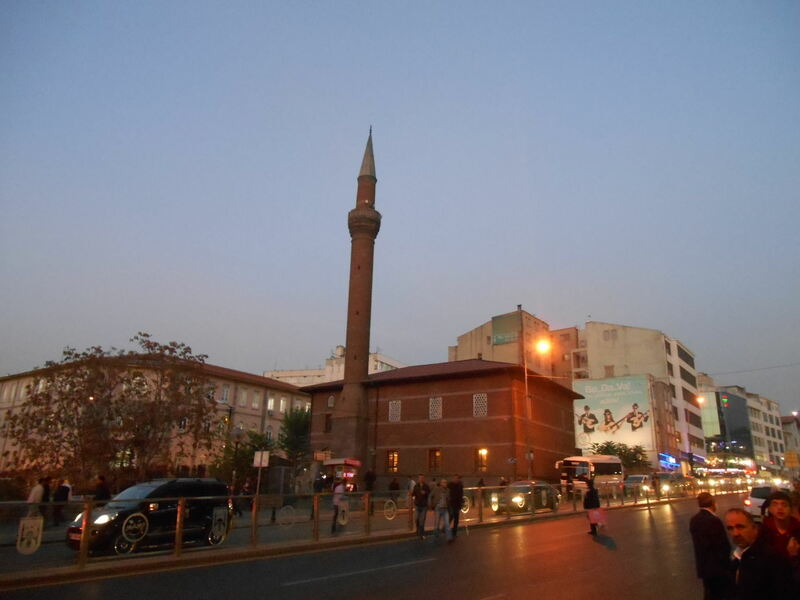 While I’m not going to pick out a particular Mosque that’s a must visit, the place is scattered with them, however most people recommend visiting the Kocatepe Camil Mosque. This is the city’s biggest. 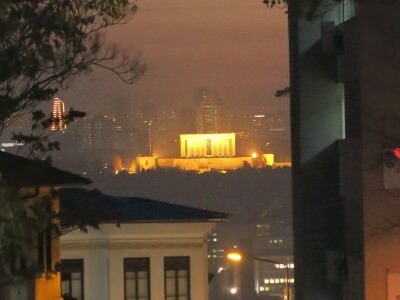 You can play “count the Mosques” in Ankara. But each neighbourhood has its own mosque and you can just marvel at the sheer quantity of them. It wouldn’t be Turkey otherwise! A glowing Mosque at dusk in the Turkish Capital of Ankara. 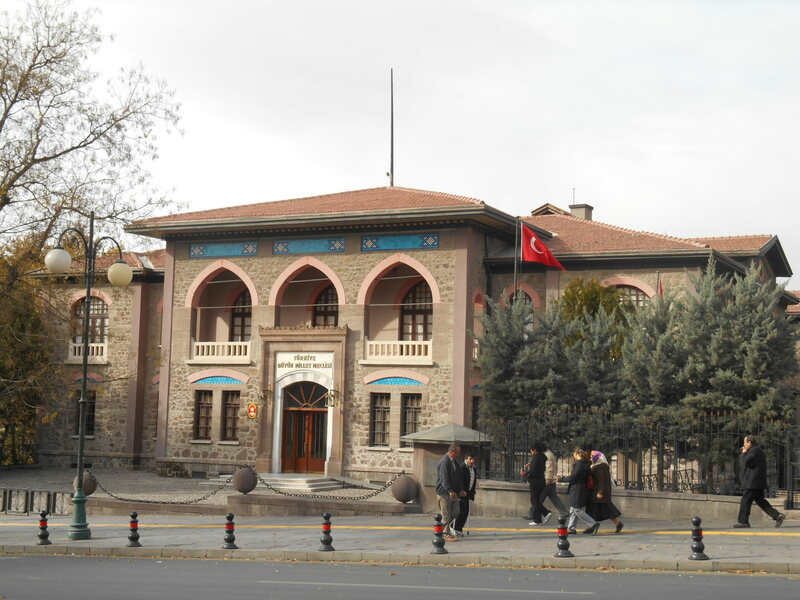 Ankara is the capital of Turkey so the main government offices are here. Take your pick of old or new, or do both. 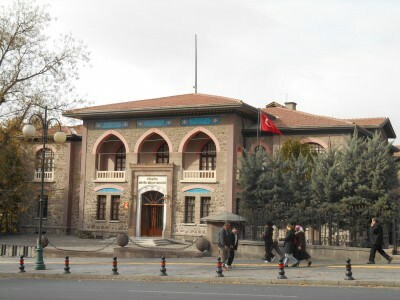 The Old Parliament in Ankara, Turkey. While you won’t get inside the actual parliament offices, a trip to the grounds give you an inkling of just how big a country they need to control here. The Old Parliament was obviously not big enough, so they’ve built a new one. The New Parliament, Ankara, Turkey. 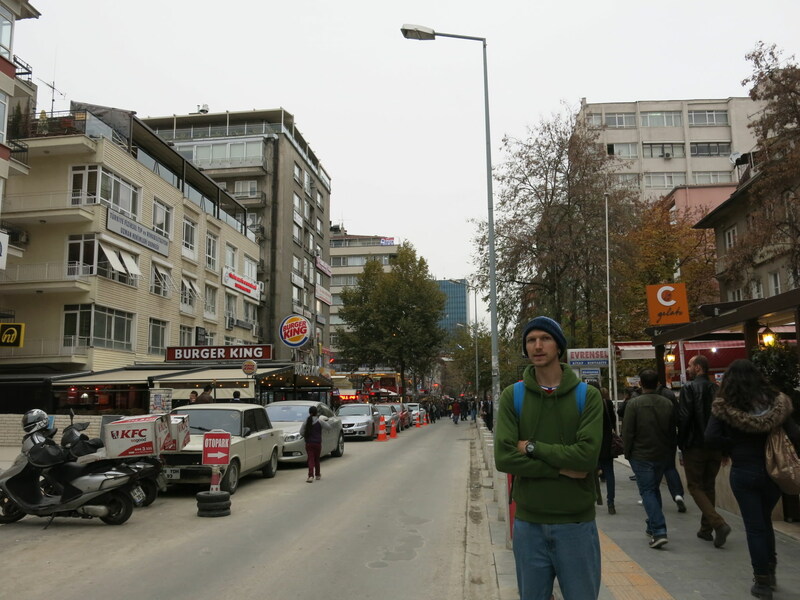 I loved the vast array of restaurants, shops, bars and cafes in the Kizilay area. This area is trendy to the core. It also attracts a load of local Turkish protests, a lively night life and it has a high student population. It’s also amazingly cheap to eat out here! On the streets of Kizilay, Ankara, Turkey. Kebaps for as little as 3 Turkish Lira, beers from 6 TL on Happy Hour and a wide range of places to eat and drink. I caught up with some friends and we had a great day out watching the football together in Garaj Bar. We watched the Merseyside derby where Everton drew 3-3 with Liverpool. Now I’m into these top 5s as that’s a nice way to condense things, but of course there’s a load more to do in Ankara. I haven’t included museums, football, markets or the old ruins of the city so they are all worth checking out too. And finally a huge thanks to Selin and Oguzhan, who took time out to show Panny and I around and take us for Turkish coffee and local food. 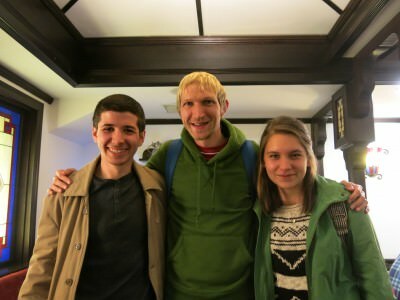 My new Turkish friends – Oguzhan and Selin. Finally – I cannot stress this enough. Ankara is so much cheaper than Istanbul!! Let logic prevail and head to the capital city rather than Istanbul. This entry was posted in Ankara, Central Asia/Middle East, Destinations, Lists, My Top 5s, Turkey. Bookmark the permalink. We went to Ankara for a wedding. Before heading back to Gran Canaria by way of Istanbul. We’re going to be honest here. 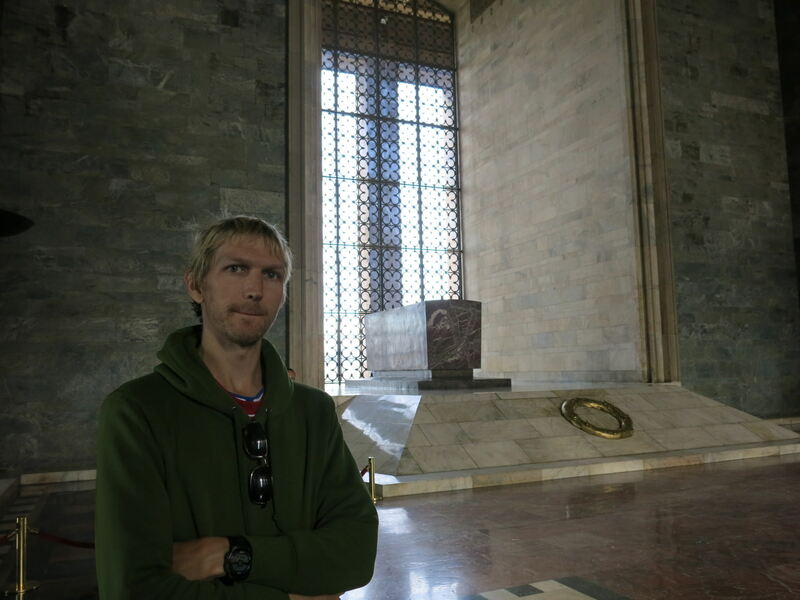 We preferred the non-capital, although you make a very strong argument for us returning to Ankara to see what we missed out on.